Our 2008 Chloe release is not only deeply reminiscent of an old favorite, its 2002 predecessor, but is also our most classic Russian River styled bottling of the vintage, radiating its DuMOL signature from every pore. Firmly rooted in Kent Ritchie’s old vine hillside vineyard, in 2008 we have introduced a vineyard partner worthy in all respects. 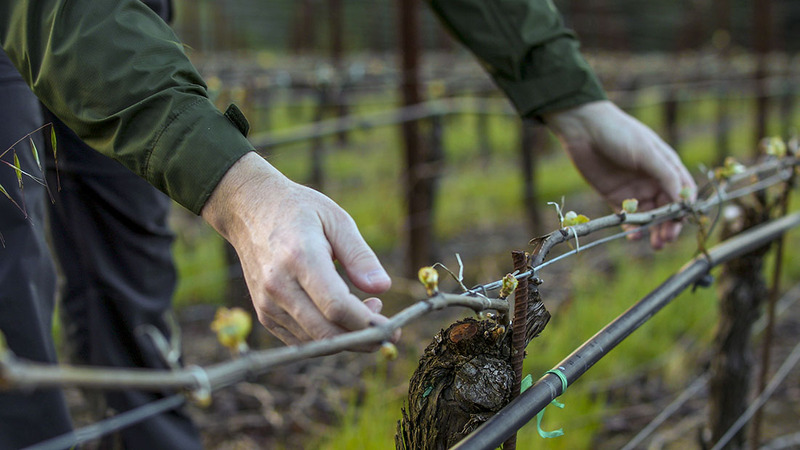 The thirty four year old Searby Vineyard located high on the Occidental ridgeline has great old vine pedigree having been planted by the Dutton Family and now managed by Charlie Heintz of isobel fame. This east facing non-irrigated hillside vineyard is a Russian River jewel, producing a small crop of breathtaking intensity that makes it a natural partner for the old vine Chloe bottling. Its Rued clonal selection is a Wente clone cousin and offers striking mineral purity alongside layers of exotic honeysuckle richness. Each vine struggles to produce a few clusters bursting with high elevation intensity and deserving special treatment and a worthy home. The resulting wine brings an element of deep extract and texture to the more restrained, classic and mineral-driven Ritchie fruit. Pale yellow straw color; explosive aromas of baked apple, pear tart, meyer lemon and bright minerals framed by nutmeg, clove and beeswax notes. These aromas cascade onto the palate with overt mouth filling honeyed richness that always maintains focus and mineral precision. Signs of a broad oatmealy texture begin to develop before penetrating acidity leads to a fresh saline finish with a lick of sweet lime. Serve at no cooler than 55 degrees and drink between 2011 and 2016.